Organic cotton knit fabric is a wonderful material to sew clothing with. It withstands many wears and washes and always looks as new as when you bought it. I love using organic cotton knit fabric for t-shirts, leggings, pajamas and other things. Organic Cotton Plus is my favorite manufacturer. They grow and produce most of their fabric here in the US and they don’t use chemicals to treat or color their fabric. *This is a sponsored post by Organic Cotton Plus. They provided the shown fabric to me but my opinions are all mine. Please see full disclosure here. Organic Cotton Plus is generously offering a $25 gift certificate to one lucky winner! All you have to do to enter is visit their website, then come back here and comment underneath this post with your favorite material and what you would do with it. This giveaway will end Friday, November 18, 2016. Since quite a while I have been working with Organic Cotton Plus and can’t ever say just how much I love their fabric! Every time I get to use their fabric, I absolutely love their quality. 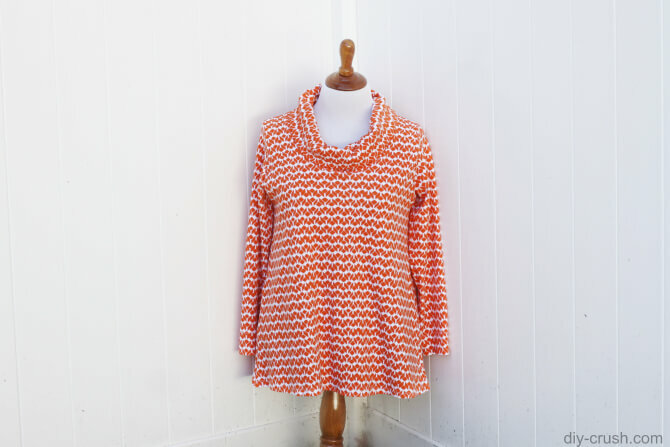 Today I am showcasing a t-shirt I made for myself with this amazing orange/white organic cotton knit fabric. I made myself a top with a pattern from Love Notions, the Laundry Day Tee which I have used once before (see the post here). This time I made this shirt slightly different as the pattern instructed. I love the fit of the shirt and it has some really great flare. I slimmed it down a bit, probably about 2″ from each side (lower area only, I kept the width of the chest area the same). I added a flattering cowl neckline instead of the regular band binding. I really love the outcome! the fabric width is 60″ and the print covers the entire width! There is almost no selvage. Just a note to using interlock knit fabric for this type of shirt: I love the quality of this organic knit fabric because it is very soft unlike some other interlock knits. That is why I love to use it for some of my shirts. It is also a nice and warm thickness, perfect for colder months. Another benefit for me is that I can sew the hems without stabilizing them first, which I normally do as shown in this post. This interlock knit fabric works for me for comfy everyday clothes all the time! I hope you will sew with organic fabric soon! This organic knit fabric is perfect for shirts. 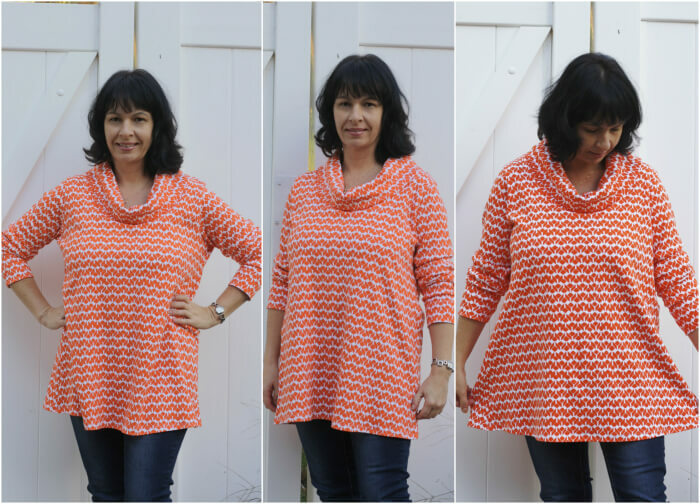 I found some really pretty interlock knits to make a top for myself. I’m not very familiar with sewing with knits but I think I will give thus a try. Thank you for sending me to their website. I love poplin -I really like the Foxgloves-Navy. A pretty long-sleeved button-up shirt would look wonderful in this fabric! I think I would make a comfy, long sleeve shirt with the beetberry thermal knit. Maybe the SFR from P4P. I love the cave print! I need soft cotton because I’m having radiation for breast cancer and my whole left side is very sensitive. I like the Poppies Interlock for a dress! Thank you for the chance, and a new place to shop!! I am torn between the plum Jersey knit ty use for a top for myself, or the Elle or elk family for something for my kids! The Pears are cute too!!! So many options!!! I like cotton interlock in mint. Such a pretty color. I want to make raglan shirt for myself. Interlock-65″-Grey Mel… I love the look of this fabric. I would make slip covers for my floral 21 year old sofa. I would make some LDTs for myself using interlock. I love the dark blue one. The Chartreuse Daisy Muslin is awesome! I didn’t even know this Organic Cotton Plus existed! Thanks for sharing! I think I would like to get some of the undyed fabric. I am interested in ice dyeing and would like to give it a try. Maybe some french terry or stretch jersey. I love the thermal knit in beet berry. I’d love to make myself and my daughter some matching raglan shirts with it! I have the LDT pattern cut out and waiting for me to sew it together. I like the Caring Print from Organic Cotton Plus. Your LDT looks great on you! I would love to use the Stretch Jersey-63″-Black-64% Hemp 28% OC 8% Lycra to make a Love Notions Margot top/tunic. Looks beautiful! The possibilities are endless. I would make shirts, scarfs, blankets, pants, whatever my heart would desire. I love fabric and organic fabric is fabulous. I already have plans for several pieces. Thank you for recommending this website. It will be on my list of favorites. I have been looking for a good source for organic fabric. The plum French terry would make a nice cozy sweatshirt dress. Perfect as cold weather approaches! Congratulations, Abby! You won this $25 gift card!! OMG I’m so excited! I never win these things. 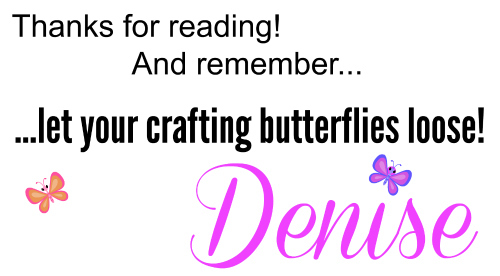 Thank you, Denise! Please let me know how I can claim it. Abby, you will get an email from Organic Cotton Plus soon! I will soon start radiation therapy for beast cancer and I need tops that open down the front and one side. It is extremely cold in the radiation room, so I would choose Fleece-61″-Pink, SKU# 15796-101 for warmth and softness against my soon-to-be-burned skin. Thank you for this opportunity! Very kind of you, Denise! Thank you! I feel blessed that I can sew what I need, and that there is treatment for me all the others who have this terrible disease. My goodness, Denise! That’s so sweet of you! I would be honored to receive your patterns, and I thank you gratefully! I’ve been looking online because I broke my leg and have to spend 3 months in a wheelchair, so it is really difficult to get out. I would make a dress from that lovely White Butterfly Voile and wear it constantly! !